China country-specific ETFs were among the best performers Friday as investors regained confidence on hints of progress in trade talks between the U.S. and Chinese delegations in Beijing. Among the best performing non-leveraged ETFs of Friday, the VanEck Vectors ChinaAMC CSI 300 ETF (NYSEArca: PEK) gained 3.9%, Xtrackers Harvest CSI 300 China A-Shares ETF (NYSEArca: ASHR) jumped 3.5%, KraneShares Bosera MSCI China A ETF (NYSEArca: KBA) rose 3.7% and VanEck Vectors ChinaAMC SME-ChiNext ETF (NYSEArca: CNXT) advanced 4.1%. Chinese markets climbed following progress in trade talks that concluded on Friday in Beijing, which Washington called “candid and constructive” as the world’s two largest economies try to resolve a protracted trade war, Reuters reports. “The two parties continued to make progress during candid and constructive discussions on the negotiations and important next steps,” the White House said in a statement, adding it looked forward to the Chinese delegation’s visit to Washington next week by a led by Vice Premier Liu He. U.S. Treasury Secretary Steven Mnuchin and U.S. Trade Representative Robert Lighthizer visited the Chinese capital for the first face-to-face meetings between the two sides since President Donald Trump pushed back a scheduled March 2 hike in tariffs on $200 billion worth of Chinese exports, citing progress in negotiations. Additionally, China’s state news agency Xinhua revealed the two sides discussed “relevant agreement documents” and made new progress in their talks. “@USTradeRep and I concluded constructive trade talks in Beijing,” Mnuchin said on Twitter. 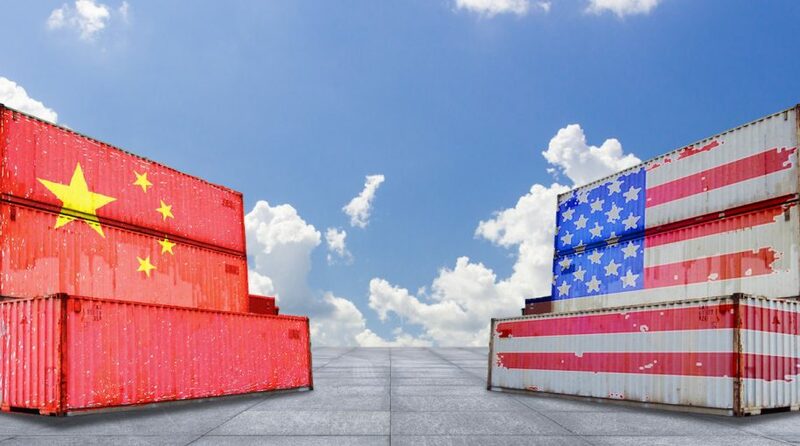 While President Donald Trump’s broad tariffs on $250 billion in Chinese imports has drawn the ire of many market participants, some have supported the president’s drive to change what are widely viewed as China’s market-distorting trade and subsidy practices. The two sides have been locked in high level negotiations or more specific topics including forced technology transfer and cyber theft, intellectual property rights, services, currency, agriculture and non-tariff barriers to trade.